The midsize Tacoma pickup offers more trims & options than any other vehicle manufactured by Toyota. The Tacoma is available with two engines, two transmissions, two drive trains, two bed lengths, and four body styles. All of these attributes are interchangeable. For 2007, the Tacoma has new front seats and a revised dash. 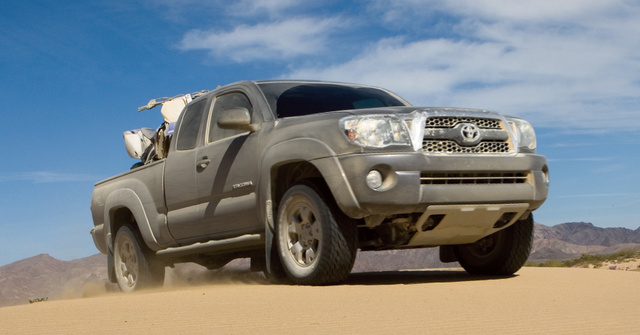 The Tacoma was redesigned in 2005, and Toyota began building the truck atop the new Land Cruiser Prado chassis. The larger Tacoma was no longer a compact truck, and new cabin sizes added even more size. The Tacoma is available as a regular cab, an extended Access Cab, and the four door Double Cab. Toyota also offers a PreRunner variation, which assumes the stance of a capable 4x4, but is only really intended for on-road use. While Toyota does not offer the Tundra trim levels on the Tacoma, like SR5 and Limited, similar option packages are available. These packages include SR5, Enhancement, Convenience, TRD Sport, and TRD Off-Road. SR5 is primarily an appearance upgrade, adding a chrome grille and rear bumper, a leather-wrapped steering wheel, and upgraded seat fabric. The TRD packages are more performance oriented. TRD Off-Road includes a more rugged suspension and tires, a locking rear differential, and front tow hook. The TRD Sport includes a sport suspension with Bilstein shocks, 17-in. alloy wheels, fog lamps, power windows and door locks, remote keyless entry system, and cruise control. 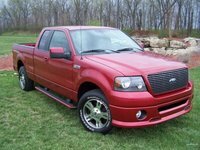 A V-6 towing package is also available. There are two Tacoma engines, but the Double Cab models are available only with the V6. All others come standard with 2.7-liter inline four, which produces 159 horsepower and 180 pound-feet of torque. The 4.0-liter V6 increases horsepower to 236 and torque to 266 pound-feet. The four cylinder can be paired with either a 4-speed automatic or a 5-speed manual transmission. The V6 versions offer a 5-speed automatic or a 6-speed manual. Of the eighteen Tacoma models, 11 are RWD and 7 are 4x4s. 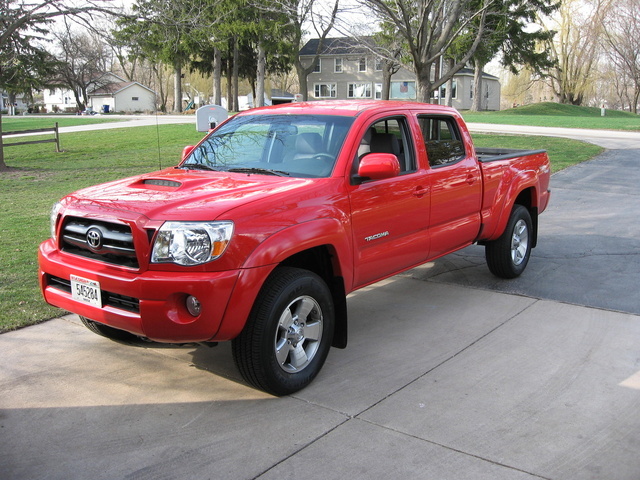 What's your take on the 2007 Toyota Tacoma? Users ranked 2007 Toyota Tacoma against other cars which they drove/owned. Each ranking was based on 9 categories. Here is the summary of top rankings. Have you driven a 2007 Toyota Tacoma? Truck Has Over 213,000 Miles On It, Is It Woth 10k? Dealer Obligation On Loaner Vehicles During Recall Repair Of Used Tacoma ? I bought a used Tacoma from a Toyota dealership and wonder if they are obligated to give me a loaner till frame replacement is done?